Protects your pocket from stains and tears. How many times have you left a bad capping the pen and you have spotted the pocket? Or do you realize that the pen has the tip removed, and filled with stripes to the fabric when lowering and raising the pen...not to mention the tip of the scissors, which ends up making a hole that peeks out everything you carry in your pocket. Well, the solution is very simple !! 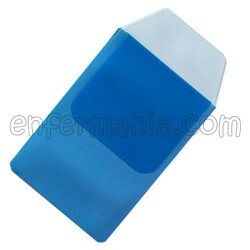 Made of plastic, its size makes it fit in most pockets (15,7 cm x 8.5 cm including the top flap). 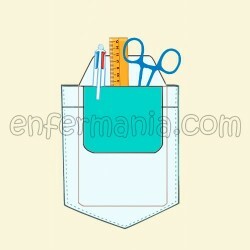 The top flap white is designed to fit on the outside of the pocket, protecting also the fabric that is right in the area of "input and output" of things in the pocket.